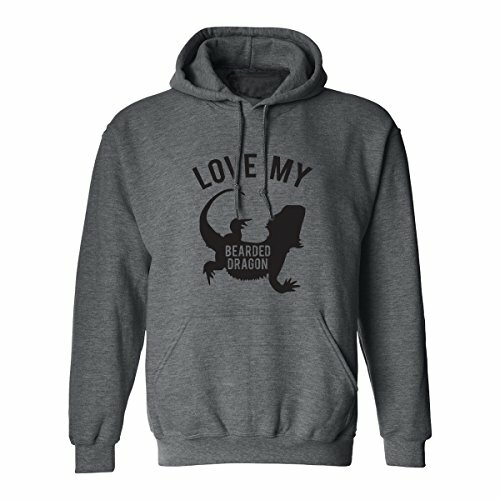 This sporty hoodie features "LOVE MY BEARDED DRAGON" on the front on an Adult Hooded Sweatshirt. 50/50 Poly/Cotton Hooded Sweatshirt. Double-lined hood and drawstring. Double-stitched pouch pocket. Set-in sleeves, 1x1 athletic rib with Lycra. If you have any questions about this product by ZeroGravitee, contact us by completing and submitting the form below. If you are looking for a specif part number, please include it with your message.